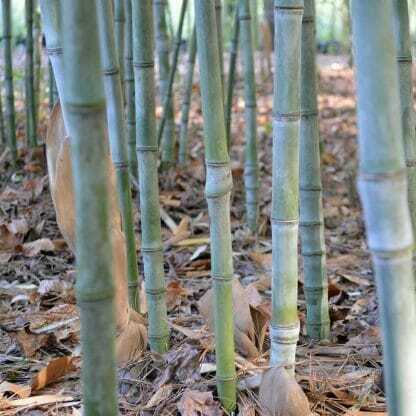 Phyllostachys Purpurata ‘Solid Stem’ is a super cold hardy bamboo that is some times called the water bamboo because it will grow where water does not drain well. It is excellent for a screening effect because of it’s vigorous growth. Order within 20 hours 2 mins and your order will ship Tomorrow! 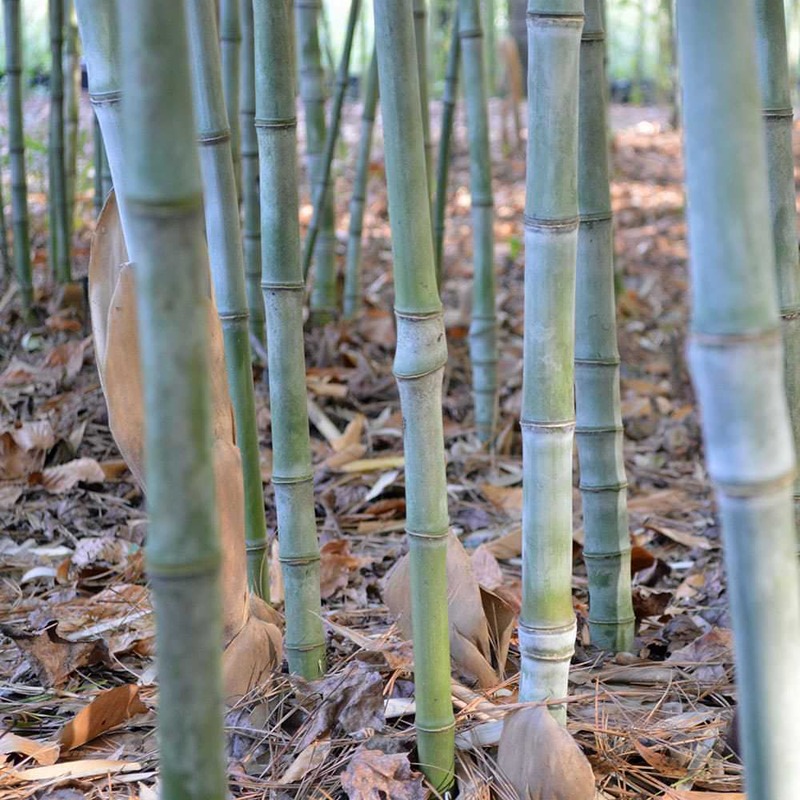 Phyllostachys Purpurata ‘Solid Stem’ is a super cold hardy bamboo that is one of the rare species that can handle areas where the water does not drain well. The lower portion of the canes are solid. This bamboo also tolerates wet conditions. The rhizomes have special air channels to let them survive in wet conditions which might not be tolerated by many other species. ‘Solid Stem’ is a vigorous grower which makes it suitable for a screen or as a specimen plant in the landscape. This bamboo is growing in the cold climate zones 5 where winter temps can go to -5 degrees F.
my purchaseI received my Bamboo plant in a very well wrapped container. It is in the ground and still looks great. I can't wait for it to take hold and produce new shoots. sent me? ZOWIE WOWIE!!!!!! I can't wait to get a big tub and plant it outside. 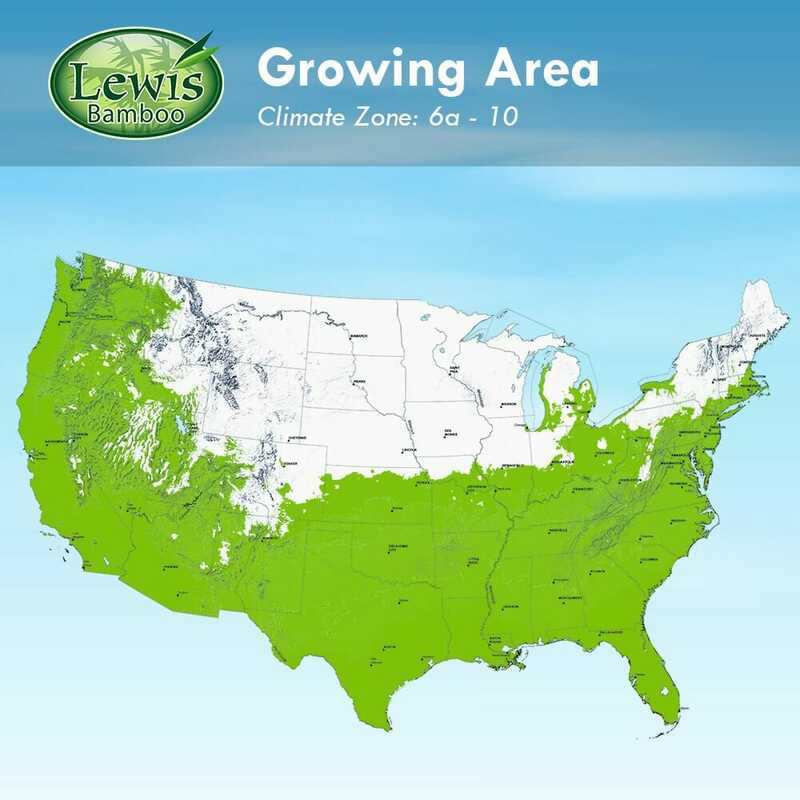 My mission this spring and summer is to get South Philly hooked on Lewis bamboo. So, soon it will be cheese steaks, throwing snow balls at Santa Clause and bamboo. again. I would highly recommend your company service and knowledgeable web site. I'd like to thank you for the wonderfully wrapped and beautifully packaged bamboo! There were no yellowed leaves and the root ball was nicely moistened. It arrived on the date you said and I will be planting it tomorrow. It's been very hot here and I decided to let it rest and adjust in a shady spot before its permanent planting in the sun. I have yet to receive plants which have been cared for so well. Beautiful plants, and a very quick reply when I had a question. Solid Stem can be used outside in a container for climate zone 6a and warmer. Yes. We recommend Bamboo Shield for most all bamboo installations.